Contestants in last year's Fast+Fresh competition. Fast+Fresh is uncovering an untapped pool of young creative talent, writes GERALDINE HIGGINSON. Fast+Fresh Dance is an exciting competition for young choreographers. Now in its seventh year, Fast+Fresh gives young choreographers the opportunity to showcase their work and be seen by industry professionals.Although part of the Short+Sweet family of festivals, Fast+Fresh Dance is co-ordinated by FORM Dance Projects and is just one example of the ways they foster and develop dance culture in Western Sydney. In 2013 Fast+Fresh Dance saw the works of 52 choreographers presented over four nights The best works were selected to go into the final, which was judged by a panel including performance producer of The Voice, Marko Panzic, journalist Caroline Baum, independent dance artist Vicki van Hout and FORM Director, Annette McLernon. Last year’s winner of the “Most Outstanding Choreography” and “Best Group” awards was Kei Ishii for his work,A Memory.Kei first studied at the Queensland Dance School of Excellence. He went on to further his training in many styles at The Space in Melbourne, and focussed on contemporary dance for two years at Ev and Bow before his success at Fast+Fresh in 2013. 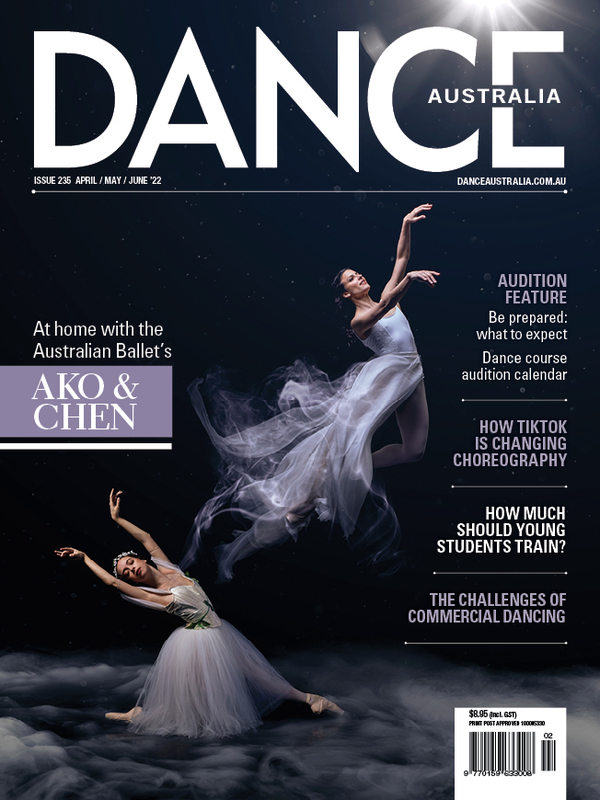 Award winners will share in a prize pool that includes two secondments (one with with Sydney Dance Company and the other with Bangarra Dance Company), free classes with Urban Dance Centre and Sydney Dance Company Studios, dance gear, vouchers and magazine subscriptions. To apply for Fast+Fresh 2014 visit www.form.org.au to download an application form. Choreographed works need to be five minutes or less, and must be choreographed and performed by people aged 21 and under. Applications are requested by DVD, Vimeo or Youtube format and entries close on Monday 13th October. Each entry will go through one of four heats at Riverside Theatres, Parramatta or the Joan Sutherland Performing Arts Centre, Penrith, during November 10to 13. Those selected from the heats enter the final, where they will be judged by a panel of industry experts on November 15.